Iran is the first producer and exporter of Pistachio in the world. Main researches done on Pistachio in Iran can supports knowledge related to the produce and definitely helps researchers, scientists, producers, exporters, investors and interested students not only in Iran but also globally. The book content is on codification of advertisement strategies regarded to export of pistachio from Iran. We discussed over the qualification of the Iranian pistachio with the emphasis on the exporting pistachio of the main producing place of Kerman province. Then Pistachio export during recent years and advertisement performance were surveyed. 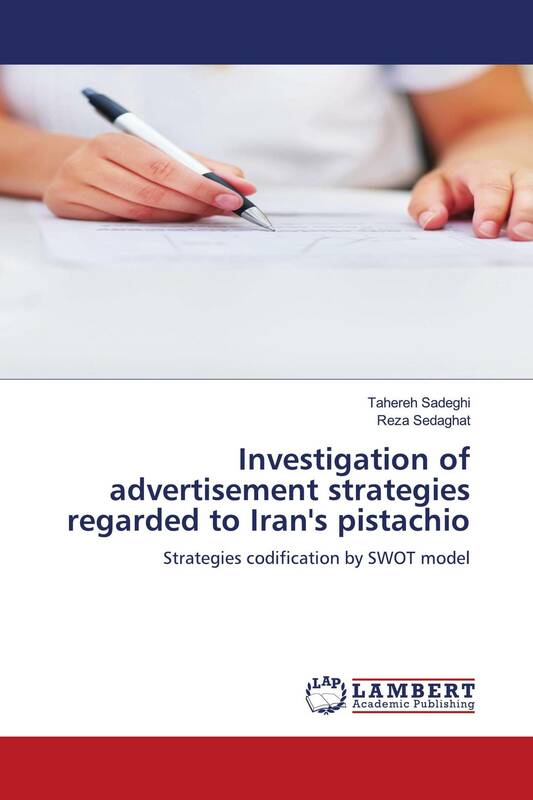 With the help of SWOT matrix, the strategies relating to the advertisement of the exporting pistachio were codified. The main objectives of the research were determining the most important advertisement strengths, weaknesses, opportunities and threats and proposing appropriate strategies. Required information gathered mainly from interviewing active pistachio exporters in Kerman province.